Parents : Do you have a gifted child who is ready to keep their education going through the summer and you are frustrated at your options? Are you walking a fine line between inspiring or overwhelming your child with too many courses? Do you need to find a place that is both compassionate and kind, while still ensuring academic success? Summer should be a time for developing your child’s interests, so that when it’s time to apply to TJ, AOS, or college, your child will have a well-rounded application which always includes a resume. Cortona’s highly-rated, accredited summer program is the perfect place for your gifted child to both excel at an academic subject, but also to help improve their TJ / AOS / college resume. We can provide a place where not only can your child get a good grade in their chosen subject, but where they also have access to a plethora of high-tech equipment that they may use during project-based sessions. You want your child to stand out, and have something on their resume that shows them to be more than average. Good grades and good test scores need to be coupled with excellent activities. 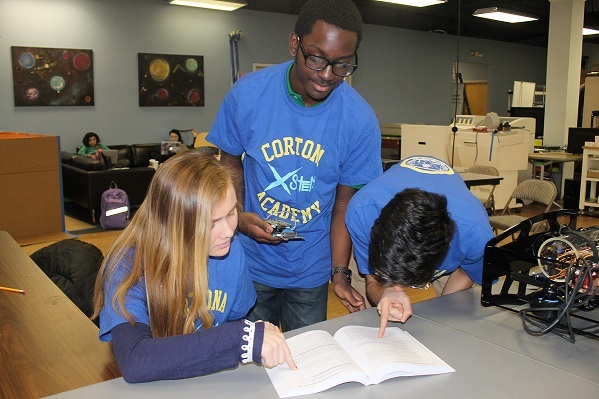 Cortona’s focused summer program for rising 7th – 12th graders fusing academics with exciting projects, promises to make an impact on their futures, and their resumes and transcripts for college. For-Credit Courses Offered : Time: 9:00 a.m. – 3:00 p.m.
-Approval of credit transfer to student’s school is the responsibility of parent. You may fill out the contact form here.